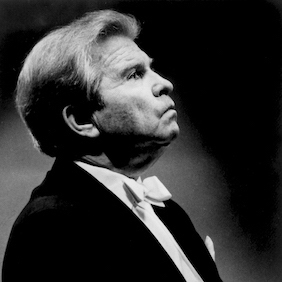 Emil Gilels was born on 19 October 1916 in Odessa. in the poor area of the well-known Moldavanka neighbourhood. At the early age of two, Emil tried out the keys of the piano in his parents’ appartment, listening carefully to the sounds it produced. When he was five years old, he was taken to Yakov Tkach, a famous piano teacher in Odessa. Quickly, it became obvious that the young boy possessed exceptional musical qualities. Early in the 1930s, Gilels was presented to Arthur Rubinstein who described Gilels' playing as "astounding", and went on to predict that if Gilels were to come to America he would eclipse everyone, including Rubinstein himself. he suddenly gained nation-wide fame. His younger sister, Liza, was performing successfully as a violinist, and Josef Stalin himself commented on the remarkably talented siblings. In 1938, Gilels won the International Brussels Competition (today known as the Queen Elisabeth Competition), thus continuing with the victories of the Soviet violinists, led by David Oistrakh two years earlier, and offering another triumph to the Soviet Union. The entire musical world was now abuzz with talk about Gilels. And Rachmaninov himself who went so far as to send him his medal and diploma. When the war ended, Gilels was entasked with a special mission. He was to represent the art of a victorious country. The context was not an easy one for him to negotiate: a Soviet pianist, a symbol of socialism, was greeted with apprehension. However, when he left the stage it was always to a storm of ovations. In addition to his soloist performances, Gilels played in ensembles: with his daughter Elena Gilels, his sister Elizaveta Gilels, Dmitry Tziganov and Leonid Kogan; with the Beethoven Quartet; and in his own trio (Gilels, Kogan, Rostropovich). Abroad Gilels collaborated with the Amadeus Quartet and the Sibelius Academy Quartet. Distinguished conductors performed with him: Otto Klemperer, Eugene Ormandy, Leonard Bernstein, Herbert von Karajan, Riccardo Muti, George Szell, Lorin Maazel, Kurt Masur, Georg Solti, Igor Markevich, Wolfgang Sawallisch, Andre Cluytens, Fritz Reiner, Karl Böhm, Leopold Ludwig, Eugen Jochum, Franz Konwitschny, Erich Leinsdorf, Seiji Ozawa, Malcolm Sargent and Zubin Mehta. He was welcomed at the headquarters of the UN and granted an audience with the Pope at the Vatican. After appearing on stage one last time, on 12 September 1985 in Helsinki, he died on 14 October 1985. Emil Gilels remains in the memories of all as an immense pianist. To understand his stature, to hear his recordings, and to immerse oneself in the nobleness of his piano playing is essential for all generations, present and future.